Monday I was joined by Jon and Patricia who are on a whirl wind tour of Scotland and live in Jersey, USA. 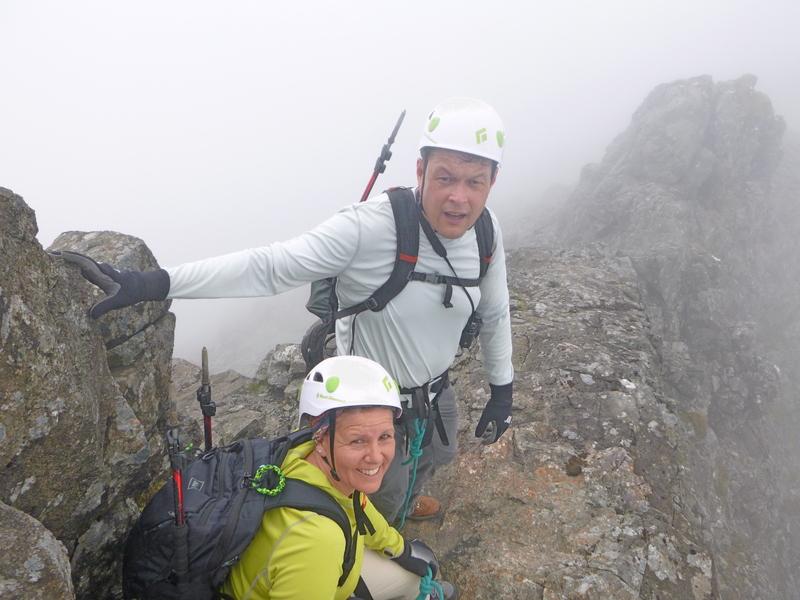 Even though the cloud was down all day we had great fun scrambling up the West Ridge of Sgurr Dearg before watching people ascend and abseil off the In Pinn. 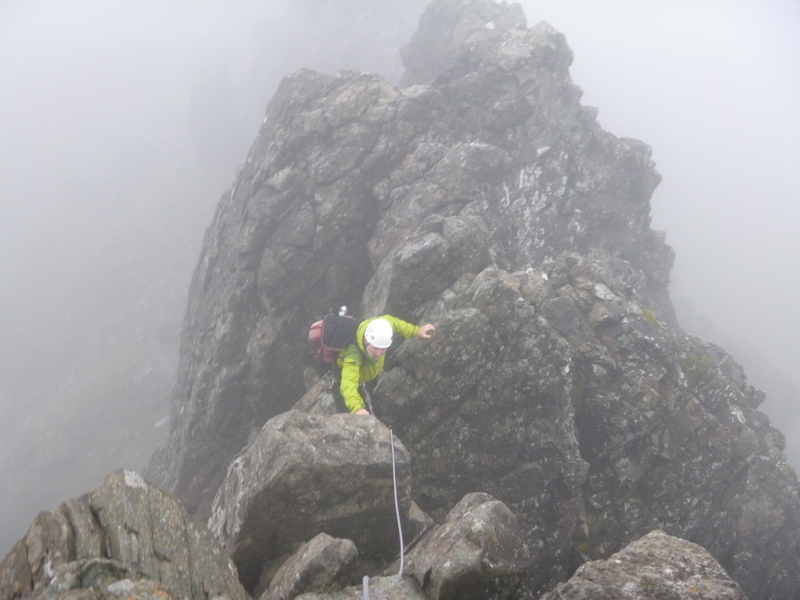 We descended Coire a Bannadich which ended up being very dramatic as the cloud swirled around and gave us occasional views of the headwall and climbers on Window Buttress. 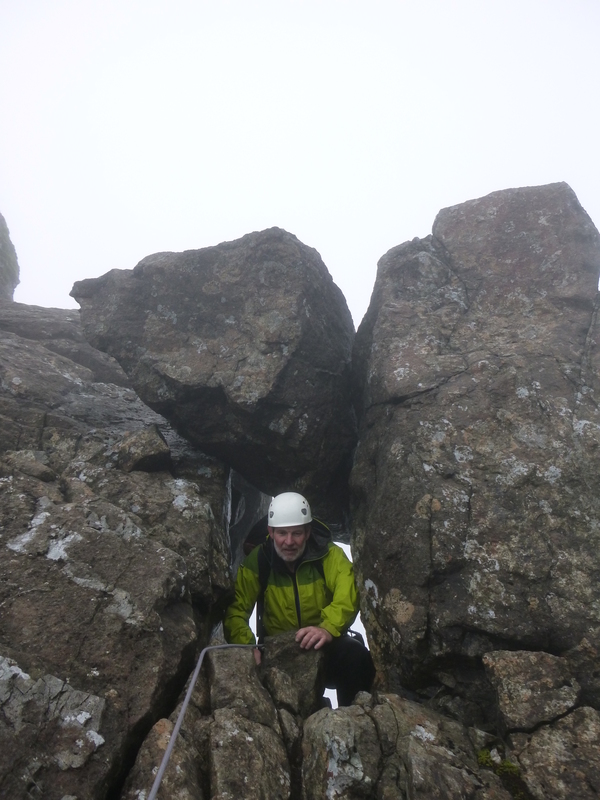 Tuesday I did my usual thing and went for a recce/run of the Northern end of the ridge taking in the northern three Munro’s, it was a round trip of 6 hours which I was quite happy with given the wet rock and zero viability. To round off my summer work on Skye today I was joined by Frank who was keen to complete his Cuillin Munro’s with Sgurr nan Gillean and Am Basteir. Even though we got soaked on the way up and battered by pretty stiff winds we managed to get his final two in the bag – another rewarding few days working for Skye Guides. That’s exciting work! Nice post.